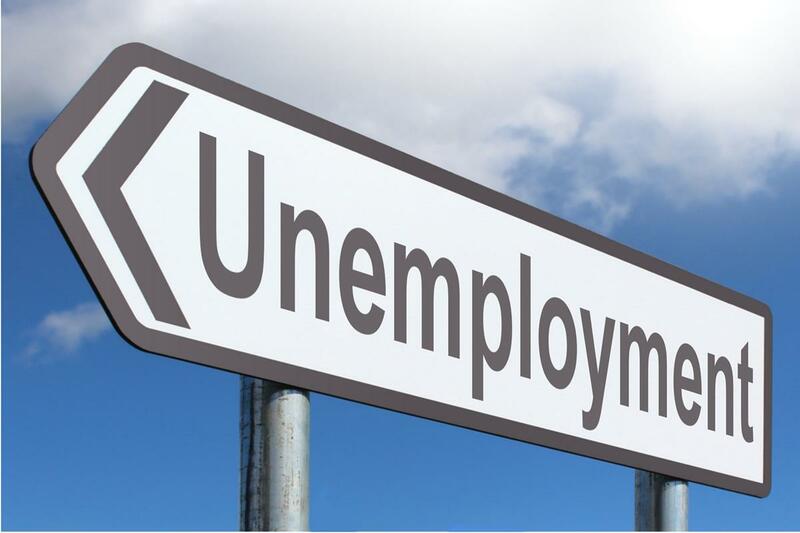 Unemployment in Nigeria & Solutions 2019 – One of the challenges that has pummeled Nigeria as a nation since it’s population upsurge is unemployment. Too many restive youths promenade the streets of Africa’s most populous nation in search of jobs while trying their acts on nefarious activities when they are bored of job hunting. It’s a major bane for a Third World country and despite the thousands of jobs the government keeps singing of providing, it still seem like a mere fallacy, there are no jobs yet and joblessness in Nigeria looks static. Over the last two decades, the crusade of entrepreneurship has attained a crescendo, it was meant to reroute traffic on the lane of white collar jobs to that of blue collar, skills, self reliance and independence. But that hasn’t helped either, the rat race for multinationals, mega firms, banks, government agencies et al by youths and the “just graduated” lot takes a different form by the day. The job hunt sphere is chaotic and characterized by youths with desperation, youths who will break a leg or twist an ankle just to get an appointment letter. They will not hearken to call for entrepreneurial development, to them that’s tantamount to wasting five years in the four walls and one in serving their nation. Many factors can be linked to the causes of joblessness in Nigeria, these factors are not far-fetched, from the lens of the everyday society, one view, then you can put two and two together and four you go. There are many causes of unemployment, but we’ll look at just three. For a nation that’s not in the region where it snows to be 190 million in population, there just can’t be enough jobs, even if you create 10,000 of it daily. And by the way, by the time you’re done reading this article, over a 100 childbirths would have occurred across the large geographic expanse of the country, so that figure is even tentative. You see, with this population surge that’s not looking like it’s smiling with anyone, there will always be an imbalance between the number of jobs available and the people to mann the positions. So when the bureau of statistics comes up with another percentage of the rate of joblessness in Nigeria, don’t bother checking unless you witnessed the mass exodus of over a 100 million Nigerians to the new world, because that percentage will continue ascending. Assuming these points are in their order of importance, then corruption has got to be the very first. It’s stinkingly absurd to learn of people buying their employments, the criteria for employment is no longer your educational qualifications, it has expanded to the prominent people you know in that field of endeavor, it involves your willingness to pay a certain amount of money to someone who knows someone who can help you get the job. So those who know no one at the top, with your all their skills and academic arsenal are left unemployed. You don’t want to talk about corruption at the government level, that’s a thesis on it’s own. Whether you live to be rich or poor, it all narrows down to your mindset. I won’t delve into motivational writings on these one, but you can ask all the employed and wealth people you know around. They have a single story on this. Their mind separated them from the rest. The courage, the strong will power, the relentless approach to the things you want in life, all these are anchored on your mind before every other thing. Those unemployed youths out there, raising the figures for the NBS need to work on their minds. If these jobless youths can for once in their rat race tracks, pause and look the way of entrepreneurship, this unemployment rate won’t be so alarming. Rather than spending years of youthful exuberance under the scorching annoying heat of the sun job seeking, invest that fuel into learning a skill and become an employer yourself. The earlier you realize everyone must not be on a payroll the better for your success. You can re-read the sub-heading again for clarity, I’m not so much of pessimist or realists, but thinking that corruption which has sieved into the pores of the skin of this nation can be eradicated completely doesn’t make me an idealist or optimist either. If the corruption that has bedevilled this nation can be enfeebled a little then Nigeria can become that el dorado it was initially designed to be. Because, you see, corruption is the cornerstone of virtually everything that has been distorted in a democratic setting. We can continue taking turns on the blame game for the numerous causes of unemployment, while corruption sits at a vantage point with a smug on it’s face. Cut down on the monster and see how things will turn out pretty good. Possibly, if all these job seekers were to undergo a mind refurbishing seminar, they’ll throw those trekking shoes into the lagoon and start thinking of a new path to happy days. What happened to dreaming big? What happened to telling yourself you can’t work for anyone rather people will work for you?. If the Nigerian youthful lot can at least change their mindset into some multi million dollar dream project, spend time, acquire some skills to it, be dogged and loyal to their convictions, if at least 2% of them can do this, then the reports from the national bureau of statistics will be positive always. Is there any hope of a sudden demise of unemployment in Nigeria? Well, in a country laden with a staggering population and still licking wounds from the injuries sustained in the course of being preyed by corruption, hope is the only thing we can’t deprive her off. Unemployment has become part and parcel of the society, every government that signs in tries it’s best to reduce it yet it grows in strength and number. Hope again is the only thing we can’t deprive the nation. So we’ll keep hoping that someday, this too will be history and the victory will be ours. Hope you liked our Unemployment in Nigeria & Solutions 2019 post?